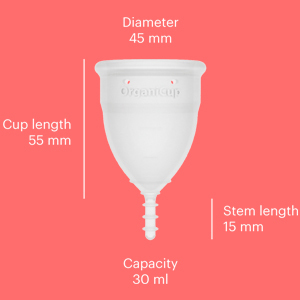 OrganiCup is the award-winning menstrual cup that replaces pads and tampons. Easier, healthier, smarter. Month after month. 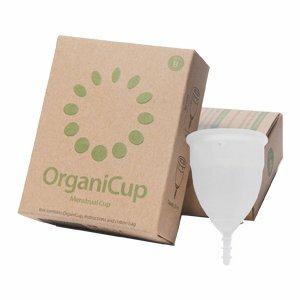 This soft cup is made fro, 100% medical grade silicone and comes with an organic cotton carrying pouch to store your cup. This cup is size B - for those who HAVE given birth vaginally. If you have NOT given birth vaginally you should look to use Cup Size A. Simply fold the soft medical grade silicone cup and insert. OrganiCup will unfold and be secured in place by a light vacuum. After ~12 hours, remove and empty into the toilet. Rinse and repeat.